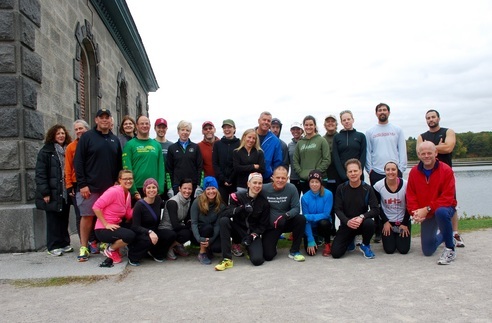 The Boston Bulldogs Running Club meets at the Chestnut Hill Reservoir twice a week. The group formed to help addicts in recovery. In recovery from an opiates addiction and sober for over 40 years, Mike Ferullo is a man dedicated to his belief in the power of embracing wellness in recovery. He discovered running on his own journey to wellness and recovery and has been running ever since. Running has been a healthy way for him to exercise not only physically but also a way to train his mind to stay positive. As a clinical social worker, Ferullo has counseled countless addicts over the years to replace their addictions with a better kind of high – a healthy runner’s high. He also started running club for those recovering from addiction – the Boston Bulldogs – which is hosting a 5K Run for Recovery and a Vigil on May 22. Ferullo also made an impact at Watertown High School, where he worked as a clinical social worker and was involved with the high school for 25 years providing individual and group counseling, and staff training. WHS principal Shirley Lundberg says, Ferullo made a huge impact when he started the boys group at Watertown High. English teacher Vivienne Mulhall said, met Ferullo 15 years ago, when she was an English teacher and he was a social worker. “I had some very troubled students in my classes that I could not control so I sent them to see Mike. The students loved him because Mike could actually connect with them. He took his job so serious and she always had time for everybody, including teachers like myself,” Mulhall said. “Mike acted as a go to for not only the students but for myself being a teacher with concern towards my troubled students. He was extremely open minded towards everyone and never would judge a soul. He is such an authentic human being. 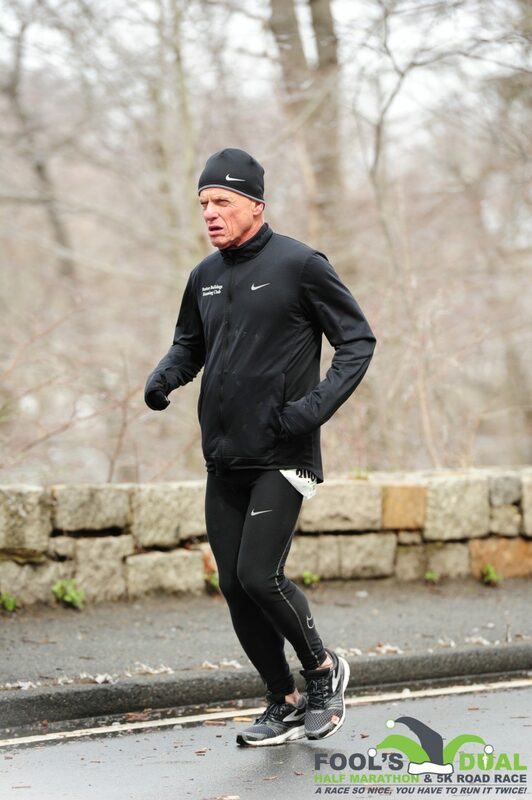 Mike Ferullo found running helped him with his addiction recovery, and started the Boston Bulldogs. He also worked at Watertown High School for 25 years. In 2008, Ferullo started a program called the HopeFound Bulldogs running club at the Shattuck Hospital in Jamaica Plain. He volunteered to meet with the guys weekly to train and run, he recruited other volunteers, supplied the runners with equipment and moral support and slowly yet progressively got them running. In 2012, the shelter was taken over by Pine Street Inn and the club became Pine Street’s Bulldog Running Club. Ferullo remained as a volunteer coach and mentor to these recovering drug addicts. In the fall of 2015 the club established itself as an independent 501 (c)3 non-profit – the Boston Bulldogs Running Club. This new identity was created to encourage running and wellness not only for those who are personally struggling with addiction, but also for friends and family who have been affected by addiction, to the clinical community that supports them and to anyone in the community at large who believes in wellness in recovery. There are no exclusions with the Boston Bulldogs – a community of support open to all. Privacy and anonymity are respected. No running experience is required, all are welcome. There are no rules when it comes to running and there are no heavy expectations. The Club runs as a team at local races. Walkers are more than welcome. Volunteer coaches are available to help set and achieve whatever wellness goals the members are seeking whether it’s completing a distance of one mile or 10, or taking on a 5K race or a marathon. Running equipment, wellness programs and transportation are provided to members of the club. Most importantly, the Club provides a community of support and encouragement because The Boston Bulldogs is not just a club, it’s a community and a family. “What inspired me to start the Boston Bulldogs Running Club is that running played a significant role in my recovery many years ago and it continues to provide me with a sense of well-being and fulfillment. The power of wellness in recovery lies in people finding their true potential and getting the support they need from their friends, families and the community at large to live a healthy and happy life.” said Ferullo. The Boston Bulldogs are holding a 5K Run for Recovery and a Vigil on May 22 at Franklin Park in Boston. This race was established to look back and honor the lives that have been lost, and to move forward in wellness and recovery. The vigil is a tribute to those who have lost their lives to addiction and also to their family and friends will always love them. “We hope to see a large crowd show up with to support!” Ferullo said. Details are available on the Boston Bulldog Running Club website BostonBulldogsRunning.org. The Boston Bulldogs Running Club is a 501 (c)3 non-profit that meets twice a week at the Chestnut Hill Reservoir at Cleveland Circle. (Saturday morning at 10 a.m., and Thursday nights at 6:30 p.m.). Contact the club at bulldogsrunning@yahoo.com for more information. Great article and so true in every respect. I have known coach Mike for over 40 years and this is true to the T (shirt) he wears. What a man! I have known Coach Mike forever, and I’m so proud of him and for all the sincere, loving, hands on help and support he provides for so many.